We are family run business located in the middle of the city centre in Kuressaare. 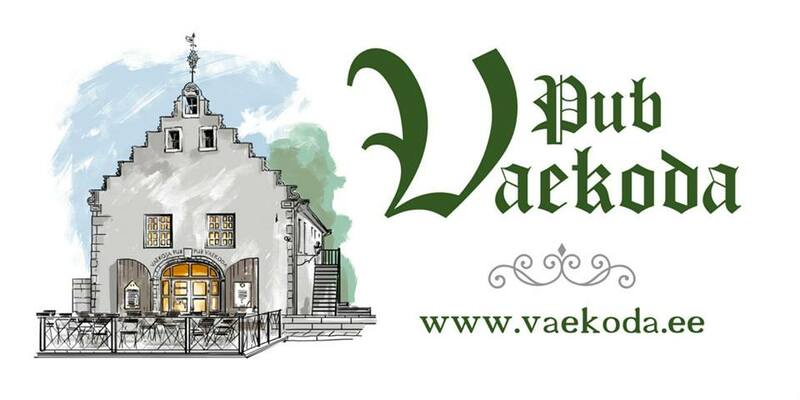 Our restaurant is located in historical building that is marked on maps as an old historic weight house, which is called nowadays Pub Vaekoda. House consists of two floors. On the first floor you will find bar, middle room for private party of 7, and the back room, that can hold private party up to 16 people. Moving to the second floor you will find small balcony that holds two tables of two, cosy fire place area and spacious back room that can hold party for up to 40 people. During the summer time our restaurant expands by the big terrace located right in front of the Pub Vaekoda. Lovely sunny weather and beautiful views of city centre add to great dining experiences. We are cosy place that offers affordable daily specials, lunch offers and extended full A’la Carte menu. For the large groups we do require food pre-order, which can be chosen either from our main menu or from party menu, which offers plenty of variety.